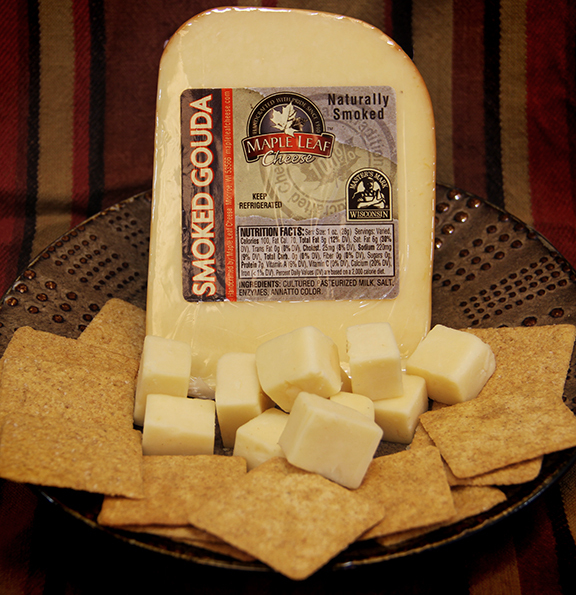 Crafted in 12 pound wheels, our Gouda is naturally smoked with Applewood to add a smoky flavor and depth to our Gouda. 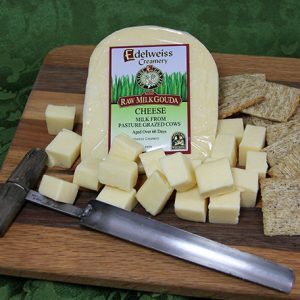 This cheese is a great addition to any cheese tray. Geliefde Gouda means sweetheart in Dutch. 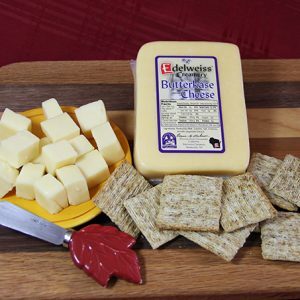 This is a perfect description of our Maple Leaf Natural Gouda. You can appreciate our Sweetheart Gouda on a turkey sandwich or serve as a great table cheese.